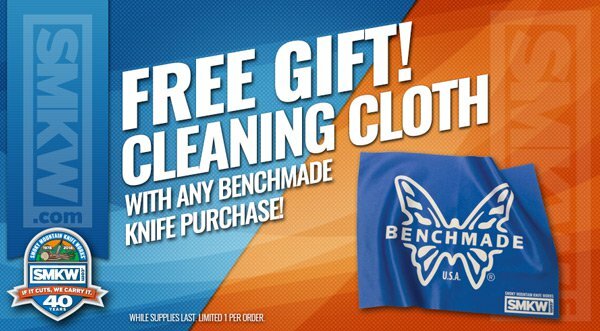 Free Benchmade Cleaning Cloth with Any Benchmade Knife Purchase! Limit 1 per order. While supplies last. 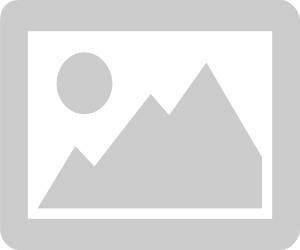 Offer expires 5/3/19. 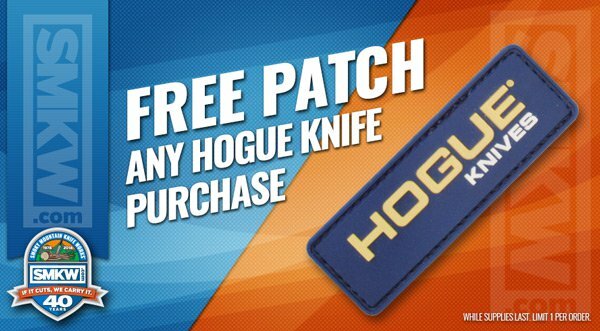 Free Hogue Velcro Patch Any Hogue Knife Purchase! Limit 1 per order. While supplies last. 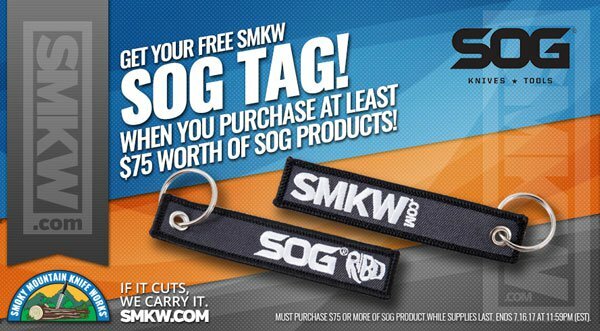 Free SOG Flight Tag with $75 SOG Purchase!